More information about the educational system will be found from our pages: lifelong learning and learning institutions > services. 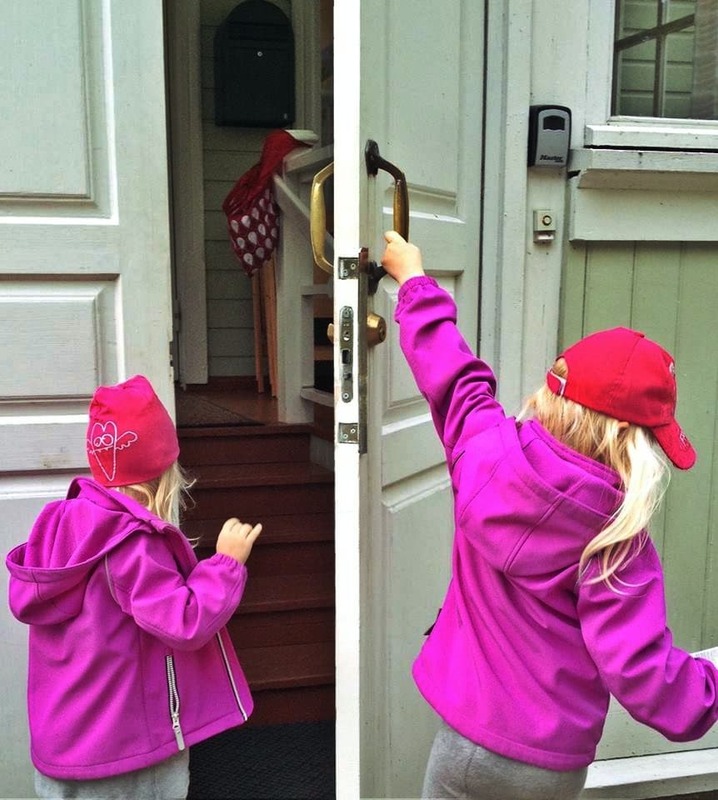 Photos showing the activities of Linnunlahti daycare center. Early education is curriculum based and pedagogically structured day care for children between 0-6 years. Every child has an equal right to participate to the early education. Service fee is reasonable (or even free of charge) for the families as the city council supports the majority of the costs. Six-year-olds participate to Pre-school education which is usually provided also by the daycare center. Pre-school education is free for the families as it is part of the obligatory education system. 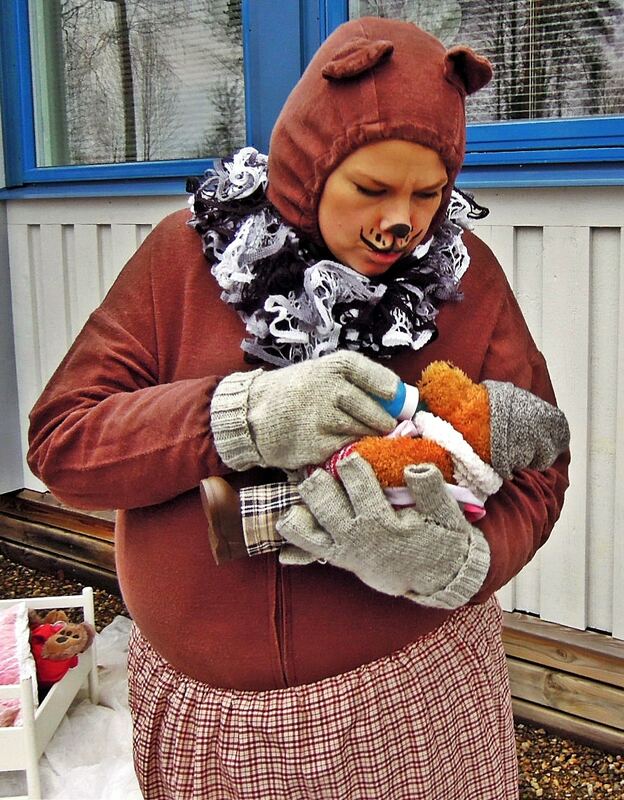 There are over 30 public and private children daycare centers in the area of Joensuu. As the city has arranged extensive daycare services, they are never too far away from families. All the daycare centers are following the same official curriculum, and led by the city council. 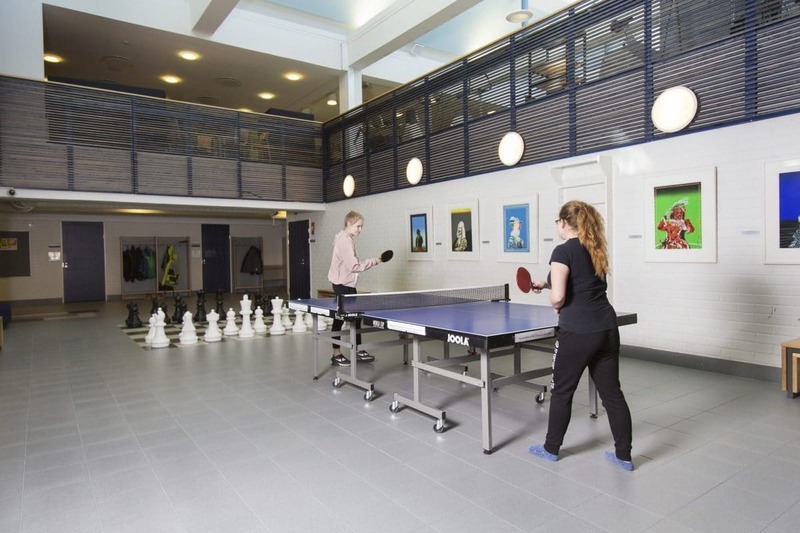 However, there is a fantastic variety in the learning environments from the highly modern premises to themed services and cozy facilities surrounded by a versatile outdoor possibilities. There are daycare centers also with a special emphasis, such as bilingually enriched education or activity themed services. 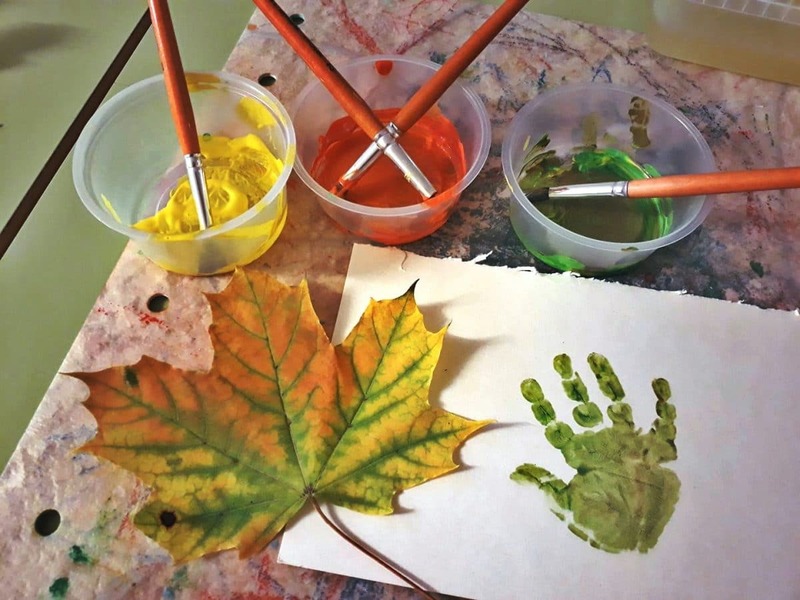 In addition to the daycare centers, there are also private family daycare providers. Family daycare personnel work as qualified early education professionals for the city council, following the same official curriculum. In the family daycare the maximum group size is four children. Parents appreciate family daycare providers especially as a first step of child’s educational career. You are welcome to familiarise yourself with our daycare services. 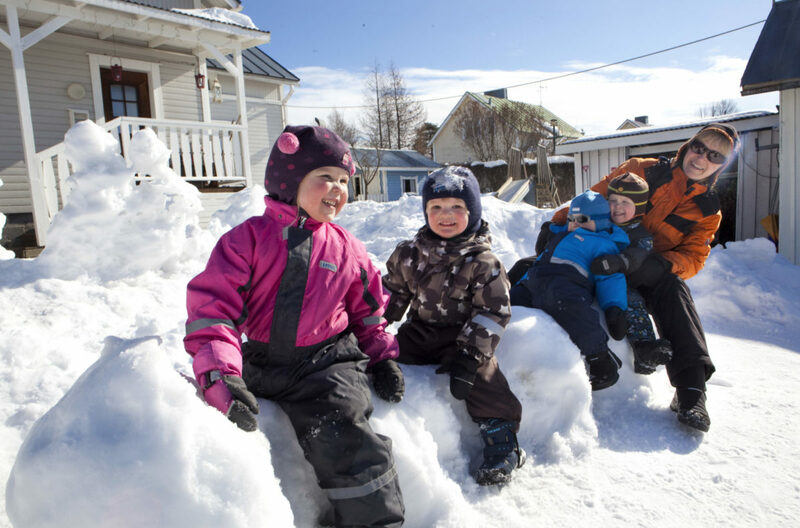 The location of the daycare center is peaceful in the heart of Niinivaara region. The daycare service is intended for children whose parents are in regular shift work which is scheduled to occur at times of abnormal clock. The vision is to create a safe and cozy learning environment for children. The way of working is very individual-oriented. The educators follow every child’s growth and learning intensively. An useful tool for supporting every child’s personal growth is an individual Early education plan. 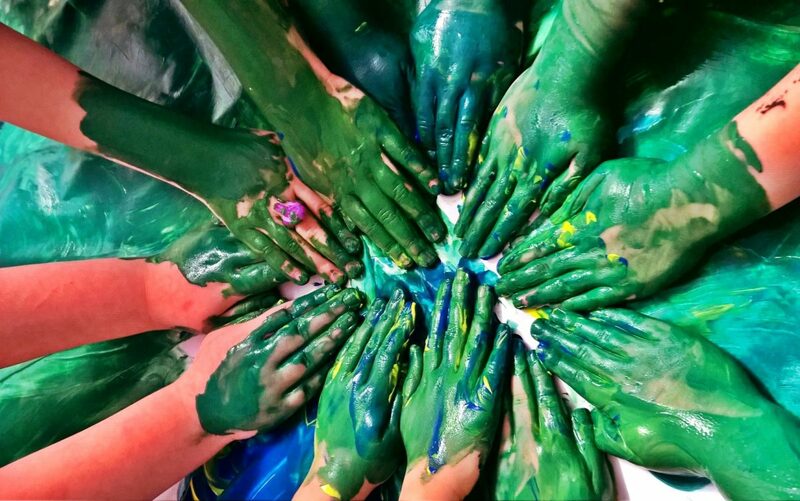 The center offers inspiring daycare activities and well-proven methods together with the active implementation of a positive pedagogy in practice. The services offer a tolerant and warm-hearted environment for growth with space for humour, joy and all sorts of emotions. At this daycare center, drama is actively used as a teaching method. Many of the challenging skills are easier to learn through drama methods. 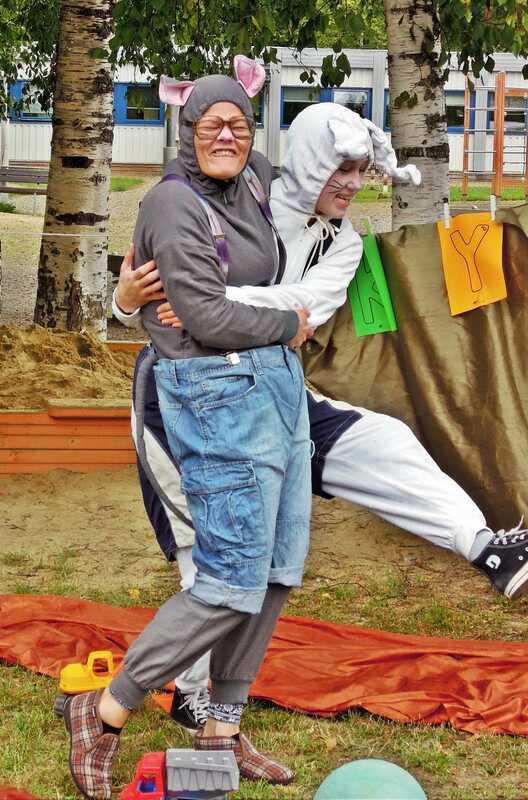 Learning trough drama is also definitely fun! The daycare facilities are functional and the courtyard area is large. As the daycare premises are also close to nature, the surrounding forest, beach areas and nearby skiing trails are actively used. There are daycare placements for approximately a hundred children, who are divided into six groups. The peaceful location of the day care centre is a 30-minute walk from the city centre. In the early education, it's significant that professionals work with a warm heart, and a sense of joy. It's highly valuable that educators love to play and are capable of jumping into the children’s world. 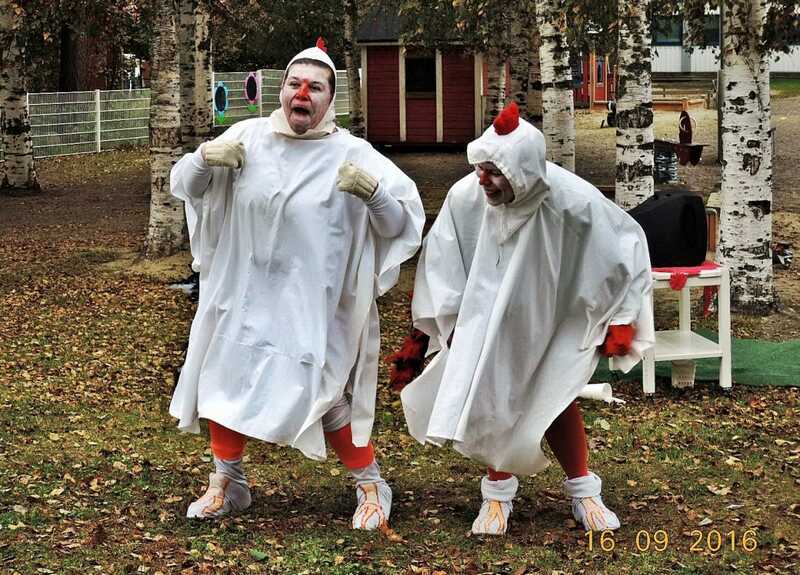 Photos showing the positive energy of the personnel of Petäikkölä daycare center. 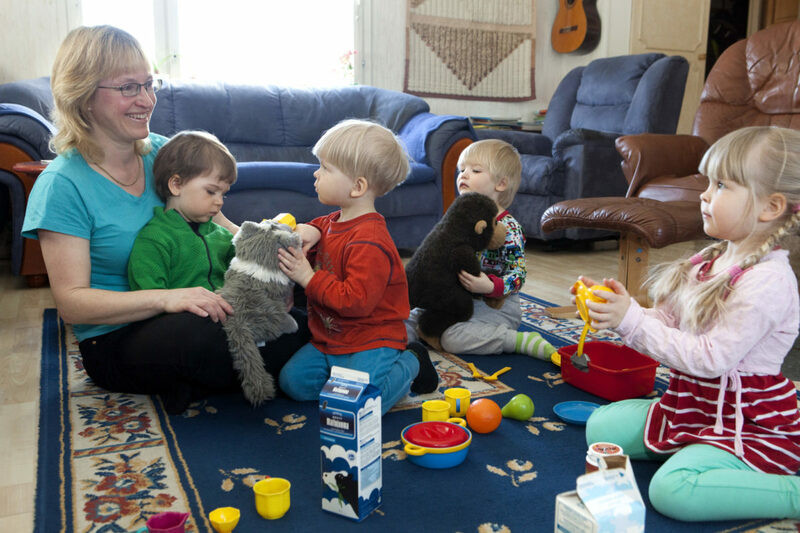 The English kindergarten of Joensuu was founded in 1976. 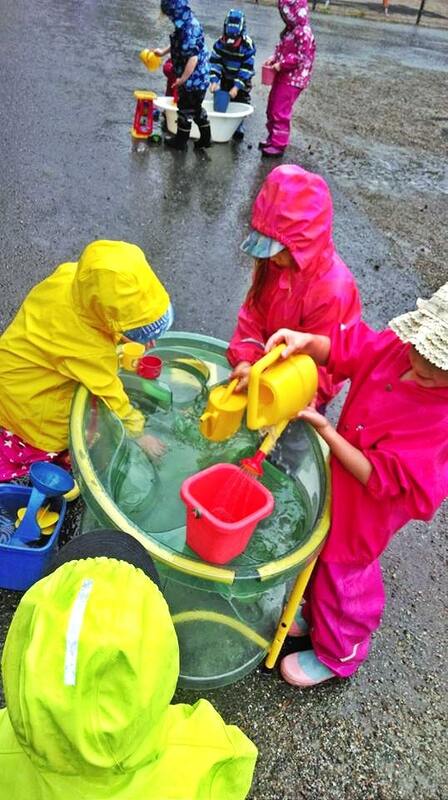 The kindergarten offers daycare service for children aged 3-6, offering also preschool education. 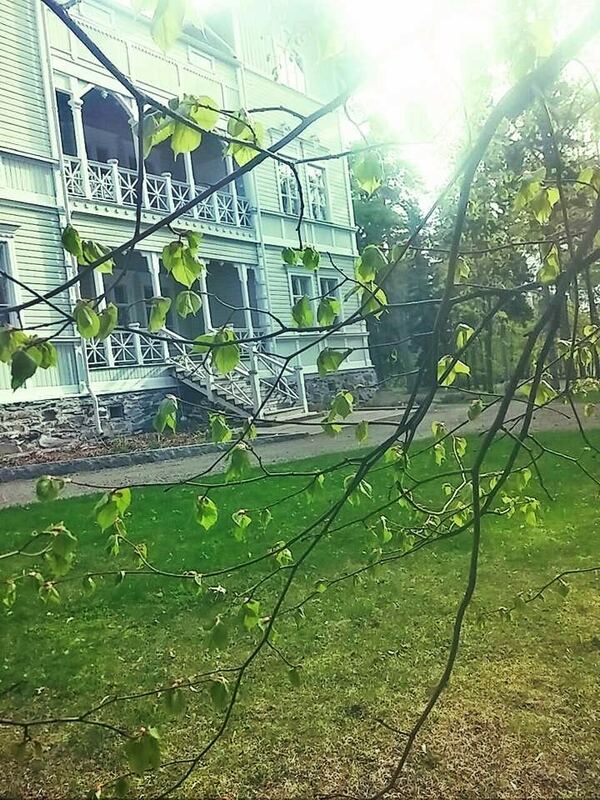 The kindergarten’s premises are in an idyllic old mansion of Linnunniemi, situated by the lake Pyhäselkä. The scenic surrounding is providing an ideal operational environment for the children. The Location is approximately 15 minutes walk from the city centre. The kindergarten’s philosophy is to familiarise the child with the English language and different cultures in everyday life. Children are encouraged to use English as much as possible in an everyday situation. The target is to provide a multi-cultural, international loving and approving atmosphere, where everyone is appreciated. You are warmly welcome to visit the kindergarten. Basic education is equally offered for all the children between ages 7-16 nationwide. As being obligatory education, the participation, materials and school meals are free of charge for all the pupils. 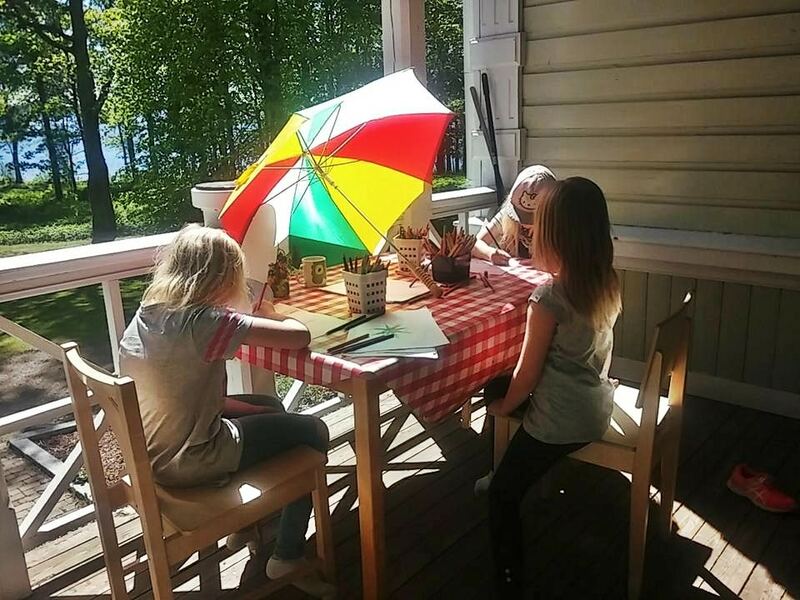 Quality basic education is the key stone of Finland’s high educational competence and the development of it is in a high interest of the government and several national institutes. The national curriculum defines the principles and targets of the basic education. Curriculum development is a constant active progress. 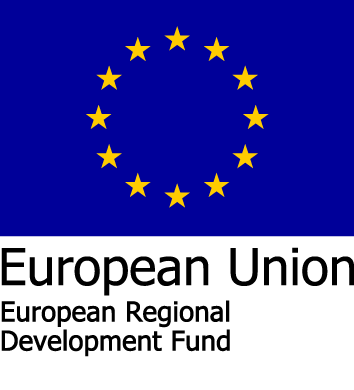 Education for pupils aged 7 to 16 years. unified comprehensive schools comprise grades 1-9. 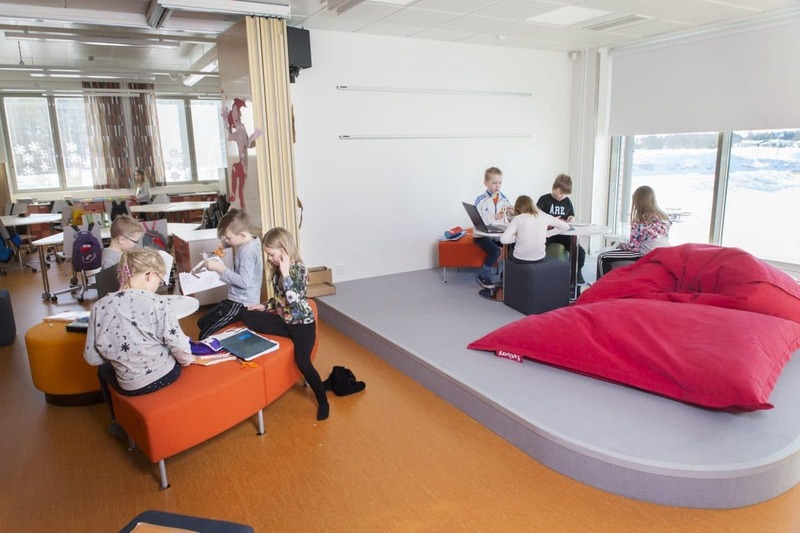 The design of learning environments has been one of the active interests in the region. The schools vary from small village schools to large composite schools (60-600 pupils). All the schools follow the same national and regional curriculum in an active co-operation. The purpose is to meet the individual educational needs of pupils. 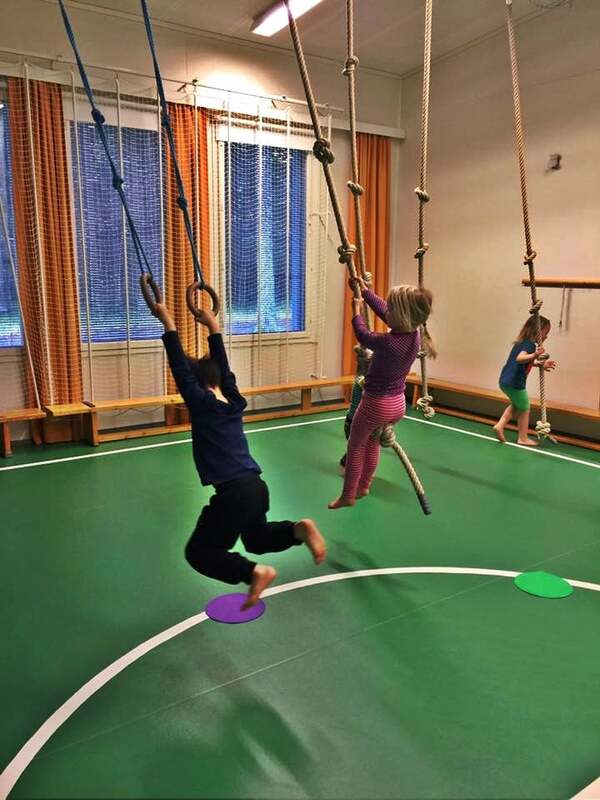 Photos showing the activities of Karhunmäki school. The inspiration behind the design was a desire to create a new learning environment that meets the goals of the new curriculum as effectively as possible. The school space consists of three “dens”. Each of dens have four homerooms. The homerooms can be joined by movable partitions, both with each other and a common area in the middle of the homerooms. In practice, each space found in the school serves as a different place to study. The modern technology is ensured by the AV equipment in each classroom, tablets for use by pupils and laptop computers. 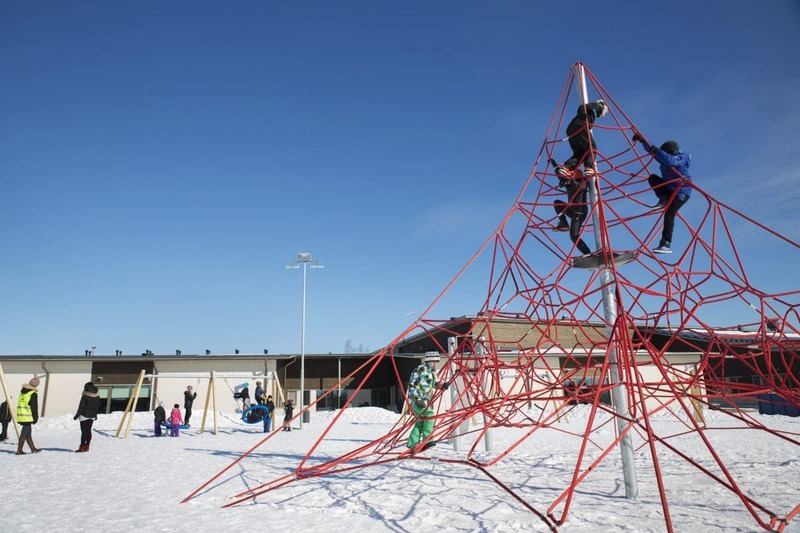 The schoolyard is literally filled with different climbing equipment and mini-arenas, which motivate the children to stay active during recess. The sports field next to the school and the trail running past it make the school environment ideal from a physical education standpoint. Thus making it possible to open the classrooms into the central common area and expand the learning environments as needed. 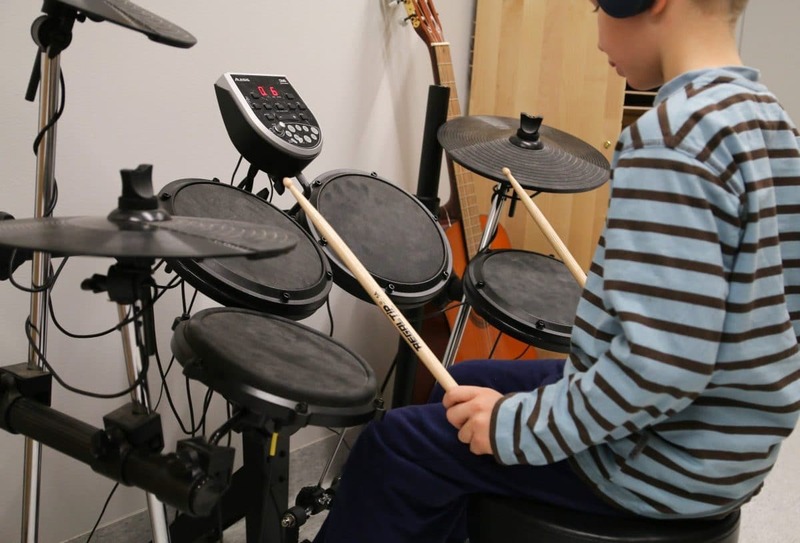 The music classroom is designed without any fixed seating. This provides plenty of space for playing instruments and singing. The system enables the follow up of heating and water consumption, and a solar energy output, for instance. The architecturally interesting primary school building was opened in 1999. 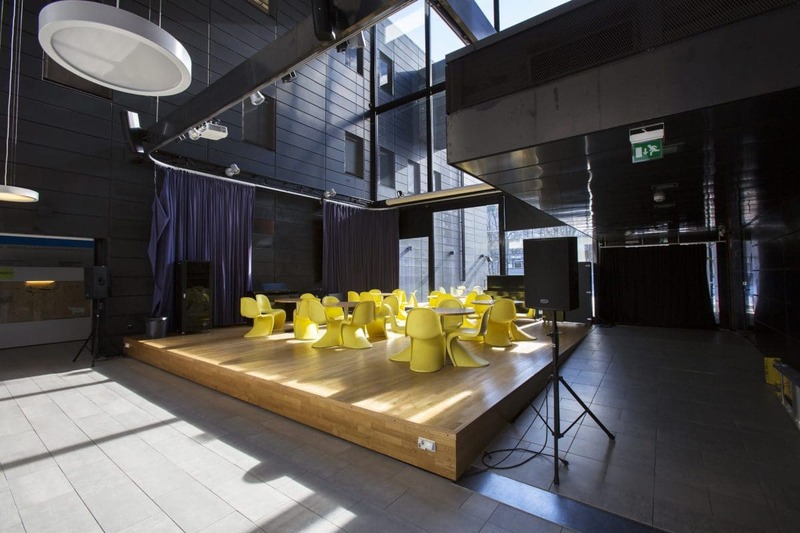 The building is completely wood-framed and places an emphasis on open learning environments. The architectural design takes influences from Orthodox culture. A new module building process was conducted in autumn 2017. 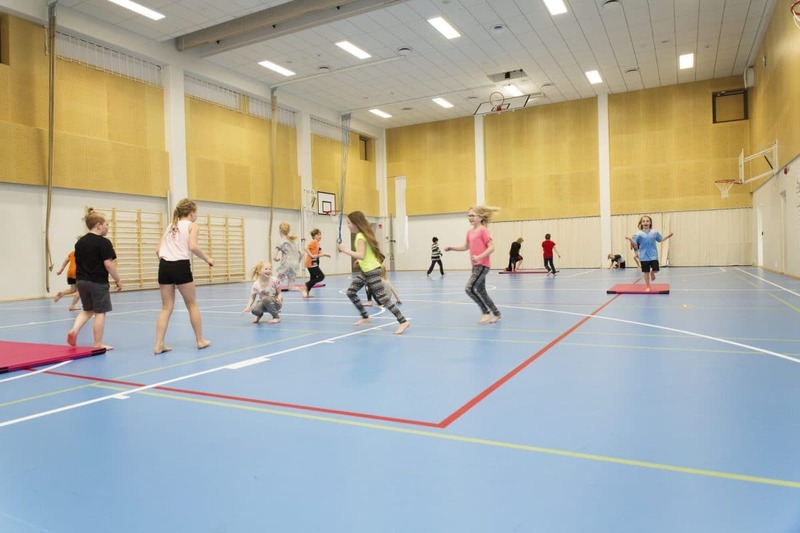 The new Heinävaara School Center will be serving pupils from pre-primary education until the end of basic education. The school center will also serve the inhabitants of the area extensively as a so-called village center. The school is located in a scenic surrounding in a countryside area. The school has a modern architecture and is equipped with state-of-the-art technology. 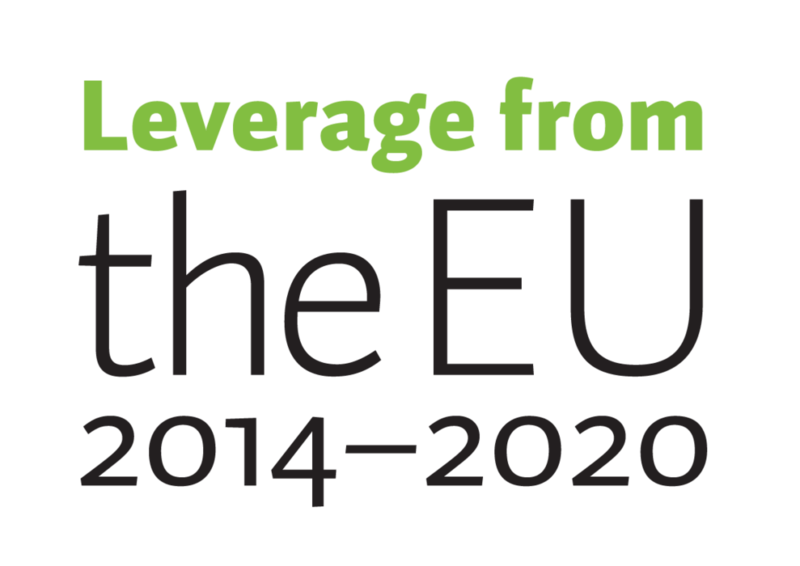 Instruction focuses on environmental issues, internationality and tolerance. The only English-speaking primary school, where English is not treated as merely a subject, but also a way of life. enhancing the resources they will need in the future. The school is constantly developing pupil-oriented learning and encourages its pupils to find learning approaches that work for them. More information and the location of the school on map. The furniture solutions help to promote a variety of learning approaches. The space offers possibility for relaxation exercises, as well.